By Amnon Lehavi. Full text here. – Stop the Beach Renourishment, Inc. v. Fla. Dep’t of Envtl. Prot., 130 S. Ct. 2592, 2601–02 (2010). While this term may initially seem odd, it represents a crucial dilemma about the role that the U.S. Supreme Court should play in reviewing certain types of state-court actions. Assume that a state court of last resort alters the state adverse possession doctrine, by eliminating the requirement that the possession has to be “continuous for the statutory period,” an element that had been set up in its previous case law, in a manner that systematically impacts the rights of landowners. When the U.S. Supreme Court reviews a subsequent judicial taking case, should it simply step in for the state court in finding “what the law is,” and, in appropriate cases, say that the state court was wrong, as is the case with conventional appeals within the judicial branch? Or should the Court engage in the “classic” type of judicial review that often defers to the policy maker, as if it were examining a legislative or administrative provision? If we recognize the state judiciary as lawmaker, should it indeed receive no special treatment by the Court? The purpose of the Article is not to engage in tautological exercises or to merely demonstrate incoherence in the Stop the Beach case. Rather, it seeks to identify some major, yet probably unintended, implications that result from the conceptualization of the judiciary as both lawmaker and “state actor” in a constitutional regime. 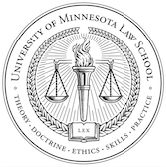 In so doing, the Article offers an innovative theoretical approach, providing guidance to key dilemmas that have been left largely unresolved since the landmark Shelley v. Kraemer decision.